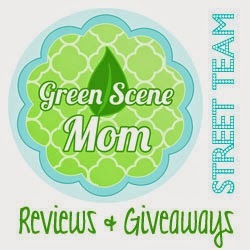 Today's review is for all of you mama cloth users. This is a Rockin Green post. I was sent their Femme Rock to try out with my mama cloth. This bag is 16oz and it retails for $11.95. Cloth menstrual pads never looked so cool! This enzyme based detergent is designed to work on the toughest of stains while keeping your reusable cloth pads looking like new. This 16 oz bag will last you for several cycles, making it a great value! Phosphate Free – Scent Free – SLS Free. I love this it is great for fighting stains and I love that it is unscented and it doesn't irritate my skin. This will last me for many many cycles and it is a great value for your money. One lucky TTGG follower will be winning their own bag. I received this item for review purposes. My opinions are honest and I was not paid for this review. This blog is not responsible for prizes being sent out. I am a Rockin Green fan and I have been wanting to try femme rock and funk rock!! I would love to try any of their products. I have just started CD'ing and I have heard that their laundry soap is amazing for CD's. I would like to try Classic Rock Bundle Remix. I'd love to try Classic Rock in Lavender Mint Revival! I would like to try classic rock in Lavender Mint Revival. It would be great for blankets.